Posted by Romain Vialard, a Google Developer Expert and developer of Yet Another Mail Merge, a Google Sheets add-on. 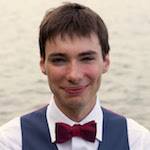 Romain Vialard is a Google Developer Expert. After some years spent as a Google Apps consultant, he is now focused on products for Google Apps users, including add-ons such as Yet Another Mail Merge and Form Publisher.